It’s come to my attention that some Upper School students and staff are unfamiliar with OverDrive. 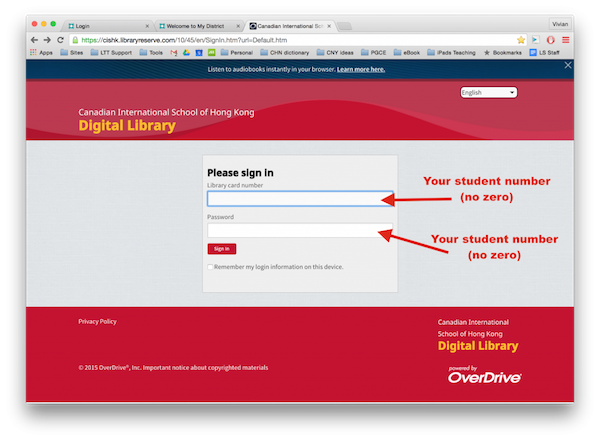 Students: your Overdrive username and password are the same. They are your student number without the starting zero. If your student number begins with a zero, do not include it. Staff: similar to above, please use your Staff ID number (minus the ‘p’) as both your Library card number and your password. 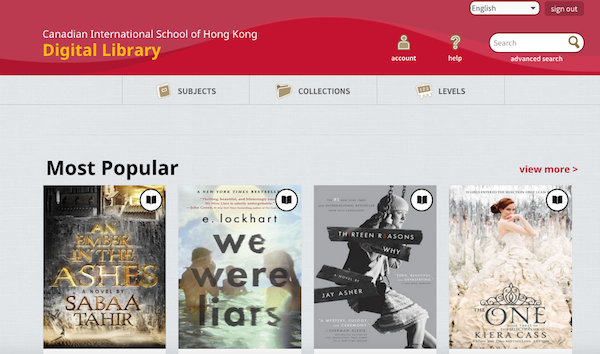 Once you’re on the homepage, you can browse the books via subjects, recommended lists, etc. Click on a book and find out more about it; does this sound like a book you’d like to read? If so, borrow it! I’ve read We Were Liars (seen below) which was an easy and interesting read. After reading the synopsis for Jay Asher’s 13 Reasons Why (also seen below), I’m intrigued and think I will borrow this soon. When it comes to borrowing books on OverDrive, you can borrow 2 at a time and you have a 1-2 week borrowing period (you can set your loan period within ‘settings’). You can also put a hold on a book and you will be notified via email when that book becomes available. Wanna find out what we’ve been up to? !